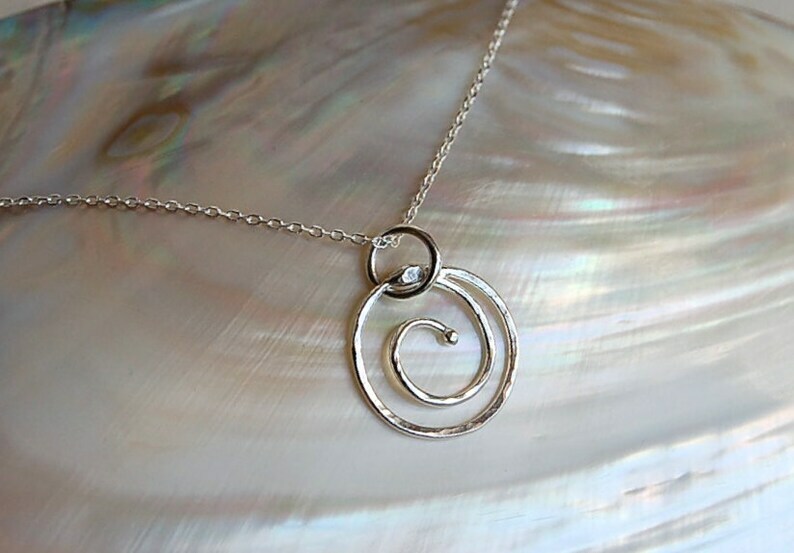 This necklace features the smallest Swirl pendant I make! This organic piece has been completely formed and fused by hand, using the Finest Silver available (99.9% pure). This piece is about 1/2" diameter and has been hammered and tumbled for texture and strength. Tumbled for additional strength and shine. Comes on a delicate Sterling Silver 18" chain.